Congratulations to March Scholars of the Month! 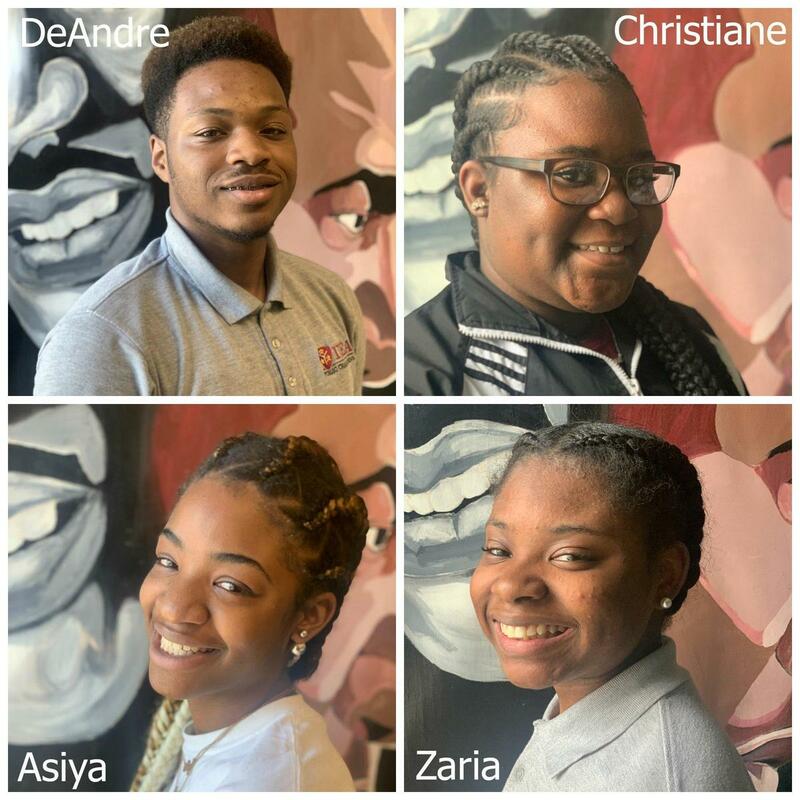 Here's what our teachers and staff had to say about the March scholars of the month. DeAndre has worked tirelessly this year to improve his grades and ensure he received a qualifying score to meet the requirement for college entrance. DeAndre has been accepted to the University of the District of Columbia and Prince George's Community College. Recently he applied to Delaware State University where he plans on majoring in business administration or education with a track to become a school administrator. DeAndre understands the need for a strong work ethic and a heart to give back. He can often be found having long discussions on youth and world views. Christiane is a dedicated student. As a student in my English III class, she has demonstrated leadership and growth. She consistently follows up with me regarding her writing tasks ensuring that she has a clear understanding of what she is required to do. She has led her group in reading and completing text dependent tasks and she always ensures that she takes the opportunities granted to her to bring up her grade, as her performance in my class is paramount. She is a well-rounded student who is a pleasure to have in my class. A naturally curious student that is always wanting to do her best, Asiya Forester a 3.0 or better GPA student and is always performing above and beyond her peers. "Siaya," as she is affectionally called by her friends, recently took the Accuplacer test for the University of the District of Columbia, where she scored extremely high, qualifying her to take up to four college classes starting this summer. Aside from being a math superstar, she is a captain on the Lady Timberwolves softball team, and looking to become a member of the National Honor Society. This light-hearted, college-minded soul is this month's scholar of the month.